One of the unique features of the Corpus Christi Birth Center is the fact that the midwives and birth assistants always work together as a team (usually assistants are midwifery students). When you choose CCBC for your care, you are not getting just one individual, you get a whole team who will participate together in your prenatal care, attend your birth and follow you through postpartum and baby care as a team. Your birth team at CCBC consists of two midwives plus one or two additional birth assistants. Your prenatal care visits usually alternate between the two midwives who currently are Beth Overton and Grace Frantz. Adlai Welfel is an experienced Intern Midwife currently serving as a birth assistant under the supervion of our midwives. Other birth assistants may on occasion attend your prenatal visits observing and/or participating according to their experience level. And, we must not forget the non-birth-team member of our team, Dona Garcia. Dona is a certified insurance coder and our office manager. When it comes to dealing with insurance, you will be so glad Dona is on the team fighting to keep the cost of care down for you. She is absolutely in your corner when it comes to figuring out the finances! By the end of your pregnancy, you should know each of us very well and we will also know you better and become familiar with your specific needs and specific birth plans or preferences. We believe by providing two midwives for each patient, we provide better care. Each midwife will have an equal opportunity to get to know you well, and likewise you have the same opportunity to get to know both midwives prior to labor. The midwives consult with each other regarding patient needs between visits. Because two midwives share an on-call schedule, that means when a patient needs them the most, the midwife that is on-call will be rested and at her best both mentally and physically to care for both the mother and baby. Even though we share an on-call schedule, you will most likely have both of your midwives attend your birth but, only one of them will be with you for your entire labor. This allows the midwives to make sure they are both getting the breaks and rest they need to care for everyone better. The second midwife will join the birth team later after labor has advanced. She will assist at the end of labor and through postpartum. Occasionally, one of the midwives will attend a birth without the second midwife (but this is less common). Even if only one midwife attends, she will always have an experienced assistant with her, someone who has also participated in your prenatal care. Please ask us if you have any questions about the details of how team care works. We would love to visit with you. Please call us to ask or schedule a free consult if you prefer to meet with us in person before making your first appointment. Beth has been a Texas Licensed Midwife (LM) since 1998 and has attended over 400 deliveries. She is a direct entry midwife and a Certified Professional Midwife (CPM) through the North American Registry of Midwives. Her specialty is out-of-hospital delivery including home and birth center. In May of 2012, Beth opened Corpus Christi’s first free-standing, state licensed birth facility. Beth and her husband Larry have been happily married for 45 years. They have three grown children, two girls and one boy. These children have given them nineteen grandchildren! Beth was midwife to both her girls and delivered six of their biological children. Their oldest daugher is Katherine Alice (or Kassy) and she has three children, all three born at home with Beth attending the first born as a student and as primary midwife for the other two. Larry and Beth’s middle child is their son, Larry. He and his wife have 6 children. Their youngest daughter is Jessica who has 4 biological children and 6 adopted children. Beth was Jessica’s midwife for her 4 home births and also one of Jessica’s preceptor because Jessica is also a midwife. She lives and works in San Antonio as a home birth midwife. Two of the birth rooms at the birth center are named after Beth’s daughters. Beth has loved pregnancy and childbirth for as long as she can remember. She always dreamed of “catching babies,” even as a child, although she did not realize her dream until she was in her 40’s, after her children were nearly grown. Before midwifery, Beth taught natural childbirth to anyone willing to listen. She has always been an advocate for everything natural, whether it be birth, breastfeeding or the food we eat. She also loves spending time with her husband, playing with her beagle/spaniel dog named Bella, raising chickens and doing anything artsy from painting to sewing to crafts. The North American Registry of Midwives – Approved Preceptor for student midwives enrolled in the P.E.P process and other NARM approved programs. Over 10 Continuing Education Units earned yearly. 16 Midwifery Conferences attended between 1999 – 2018. Beth has trained midwifery students as a preceptor and at workshops. As of August 2018, seven students, under her supervision have completed their training and become Certified Professional Midwives and one other (Adlai) has completed her clinical requirements under Beth and is expected to become CPMs when she completes her academic training in less than year. Beth helped lead Texas Midwives during her term as President of the Association of Texas Midwives to become recognized as “licensed midwives” in the State of Texas. Prior to that, direct entry midwives had less required education and were called “Documented Midwives.” It was a 3-year process from 2002 – 2005. She represented Texas Midwives before the House of Representatives in Texas and worked closely with the Sunset Review Board during this critical time for midwives in Texas. Beth has had speaking opportunities to teach other health care professionals about childbirth, including giving presentations to paramedics and medical doctors in residency at one of our local hospitals. Grace graduated from the Association of Texas Midwives Midwifery Training Program in January of 2018 and passed the NARM (North American Registry of Midwives) examination to become a Certified Professional Midwife in June of 2018. She received her Texas Midwifery Licnese in August 2018. Grace is a staff midwife at the CC Birth Center and a vital part of our team. As of August 2018, Grace has participated in over 150 births as a student midwife during the past 4 years, including home birth and birth center settings as well as hospitals deliveries (both low risk and high-risk scenarios). Grace achieved her clinical requirements under the combined training of four qualified midwives, with Beth Overton as her primary preceptor. Grace is now working on staff with CCBC. Her next goal to become a qualified preceptor for Midwifery students because she loves eductating others and passing on what she has learned. Grace is the 4th born of five children that were all born naturally to their mother, she was the 2nd of three to be born at home with a midwife attending. Grace grew up believing in this model of care for low risk women and has enjoyed being able to continue making this care possible going into the future. Member of the Association of Texas Midwives 2014 to present. Texas Midwifery School Graduate class of 2018. Texas Licensed Midwife (#99346) – 2018 to present. Midwives Alliance of North America – Certified Professional Midwife – Awaiting Certificate which will be after license. Texas Department of Health – Newborn Screening Certification – 2017 to present. American Heart Association Healthcare Provider: BLS – 2014 to present. American Heart Association, American Academy of Pediatrics Neonatal Resuscitation (NRP) Program – Certified 2015 to present. Grace has had speaking opportunities to instruct and share with others about childbirth, including nursing students at Brightwood University. Grace teaches regular childbirth classes to our patients at the Corpus Christi Birth Center, as well as to other expecting women in the community. 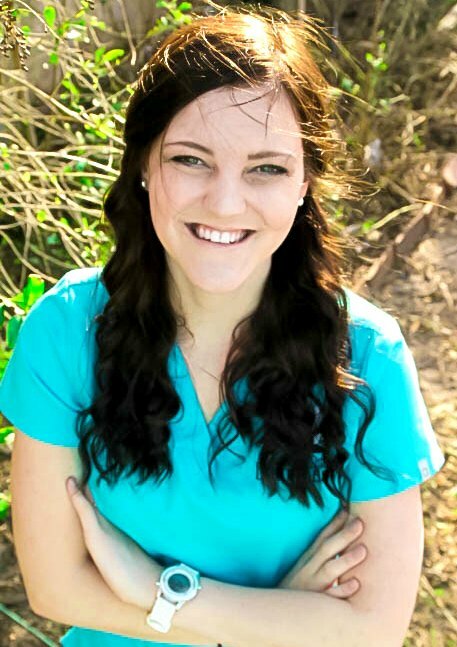 Adlai Welfel is a student midwife currently enrolled in The Association of Texas Midwives Midwifery Training Program and serving as an Intern at the CCBC, which means she has enough experience to work as a primary under the supervion of a licenssed midwife. Adlai plans on graduating in May of 2019 and becoming a Licensed Midwife by September of 2019. She has already completed all the requirements for her clinical training even though she continues to work in the clinical setting gaining more experience while she completes her accidemic studies. Some of the requirements that must be fulfilled to become a licensed midwife (which Adlia has completed) are: 24 months of clinical training with the guidance of a licensed midwife, observe a minimum of 10 births, assist a minimum of 20 births and to primary 25 births. The primary births require the student to deliver a minimum of 25 babies, with the allowance of counting 3 transports. She must also observe, assist and handle primary prenatal appointments, newborn exams and postpartum appointments. She must attend at least 90% of prenatal and 75% of postpartum appointments. Adlai is an exemplary student and has proven herself knowledgeable and prepared to become a midwife within the next year. For the Texas midwifery School it is required to attend and pass all 8 modules and exams with a passing grade of an 80 or above, failure to do so will require to repeat 6 months, Adlai has met all requirements at this point of her training and is a diligent student and we have complete confidence in her continued success. Adlai, even though born into a large family of 8 was unaware of the midwifery world until her older sister decided to have a homebirth with her first pregnancy. Adlai was unsure about homebirth and was just excited about becoming an aunt for the first time. The true excitement and passion to become a midwife came 3 years later when on a mission trip to Southeast Asia where Adlai was able to visit a midwifery clinic and witness the level of care, compassion and skills a midwife may hold. Adlai fell in love with the model of care midwives offer and so began her next 3-year journey to become a licensed midwife. Member of the Association of Texas Midwives 2016- present. American Heart Association Healthcare Provider: CPR/AED/BLS – 2016 to present. American Academy of Pediatrics Neonatal Resuscitation (NRP) Program – Certified 2017- present. Dona joined our team in September of 2016 and comes to us with 17 years experience in the medical field as an insurance Biller. Dona is Certified Insurance Biller. She has a passion for patient/client relations and really loves dealing with the insurance companies on the patient’s behalf. Dona has been married for 33 years, has three “children” ages 38, 32, and 28 and four grandchildren. Family, baking and serving her community are the passions that keep her constantly on the go. The perfect day is spent with family and friends, cooking and baking and just spending time together. She and her family are involved in Christian Warriors Retreat, Veterans Serving Veterans is closest to her heart, as her husband, both sons and many family members have served in our Armed Forces. She has been to 14 countries and 43 states, and is a Native New Yorker. Dona is also an active member at South Shore Christian Church. She signs music as part of her ministry due to a hearing loss. Her dream is to create a “deaf choir” for those that cannot hear so they can see God through Music.